Agriculture is planned as the focus of the new secondary school, Instituto Augusto Cesar Sandino, in La Carreta. 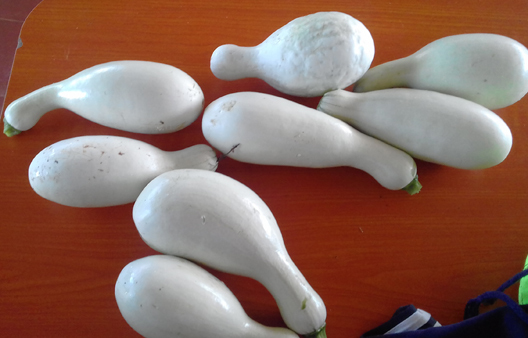 Therefore, we are very happy to receive word that the pipians (squash) planted in the summer have matured and been harvested by the students. The garden will potentially help feed lunch to the school’s kids as well as giving them experience growing food. Having 20 cordobas (roughly a 65 cents) to buy lunch at school is out of the question for many students and is one of the reasons some come only to Saturday school rather than attending Monday through Friday. La Carreta students and Language Arts teacher Luvy Rueda lainez recently cooked up the school garden’s pipians for lunch, with rice. The Gov’t gives the primary schools some rice and beans, and sometimes flour, sugar, and cooking oil. (Usually none of that goes to the secondary schools.) The mothers at the primary schools take turns cooking for the children’s lunches in a program to encourage school attendance. 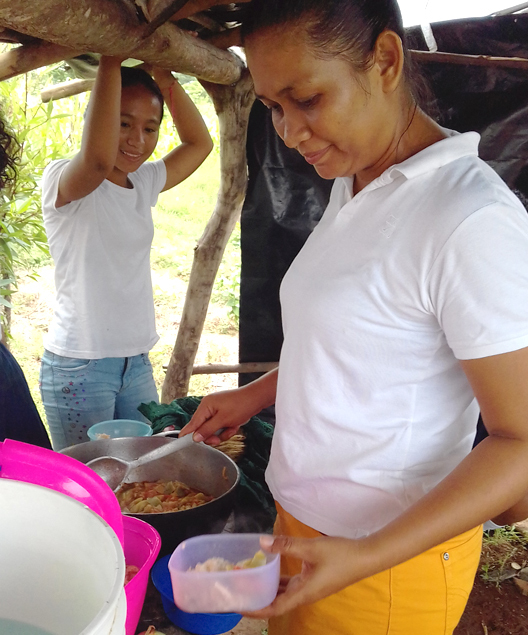 In La Carreta, to encourage more students to attend daily classes, the Directora (Principal), with the permission of the Delegada, (head of the local Ministry of Education), procured some of the rice and beans from the primary school supply to feed the secondary students. Sometimes, they ran out of rice and beans, and received nothing. This is a special plan for La Carreta’s Instituto A. C. Sandino only. If it is successful, it may extend to other secondary schools. 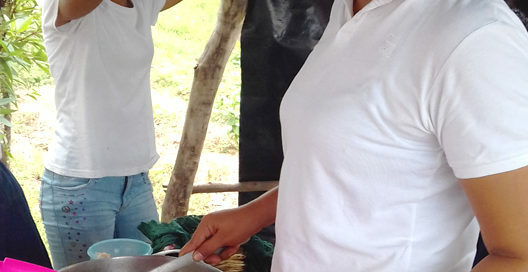 When La Carreta’s Instituto has a real kitchen, which we are planning to provide in the 3rd wing, and more gardens, they can broaden their scope of how the kitchen will work. 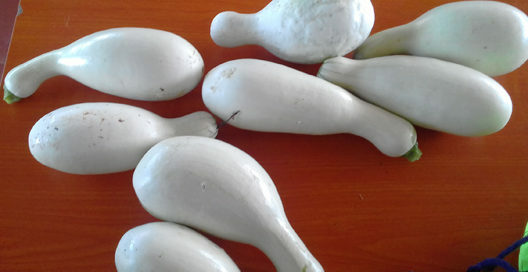 Besides a place to prepare lunches, it will also be a way of teaching the students how to prepare vegetables in a clean environment, with various seasonings, too.